"By our very nature we are a challenger industry, always changing, always solving and always creating the new, new." Sue Frogley is the UK chief executive of Publicis Media, and the chair of this year’s Media360. The event on 17 and 18 May unites the greatest minds in media – to break down barriers, create opportunities and reimagine a better future for the advertising, media, marketing and technology industries. Now in its 15th year, Media360 attracts 300+ high-level industry professionals - 50% being advertisers, with an overall seniority of 85% director-level or above. This year’s agenda is packed with relevant content, quality speakers and enjoyable formats. Expect big topics, challenging questions and invaluable insights. Speakers from leading brands, agencies and platforms such as Just Eat, ITV, McDonalds, Sainsbury’s, Wavemaker, Google, Facebook and BBC will take to the stage. Campaign’s global head of media Gideon Spanier explains that the media industry thrives on new ideas and they have never been so urgently needed at a time when trust, effectiveness and creativity are all in question. 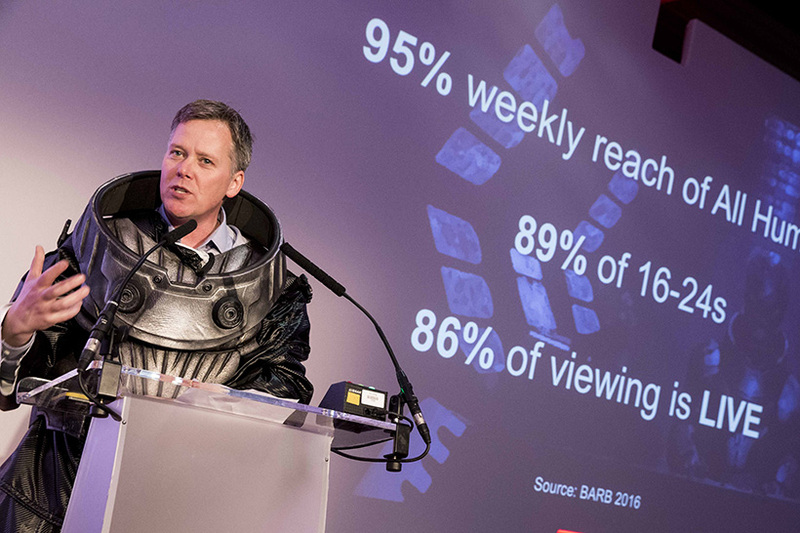 "Reimagining Advertising Plc, the theme of this year’s Media360, is an important rallying cry because everyone who cares about this industry knows there are huge opportunities for those who are willing to change". Attendees mix with decision-making media professionals from the likes of Unilever, asos, John Lewis, Nestlé, Diageo, Tesco, Red Bull and many more – there’s no shortage of creative and passionate personalities to bump into. "Media360 is brilliant for ideas, innovation and to challenge how your brand operates in this changing marketing world," said Tony Holloway, sales and marketing director at Domino’s, who is on this year’s advisory board and is a regular attendee. The colourful seaside town of Brighton hosts the two-day event, at luxury boutique hotel The Grand, where attendees will be treated to a host of interactive experiences in the networking areas. 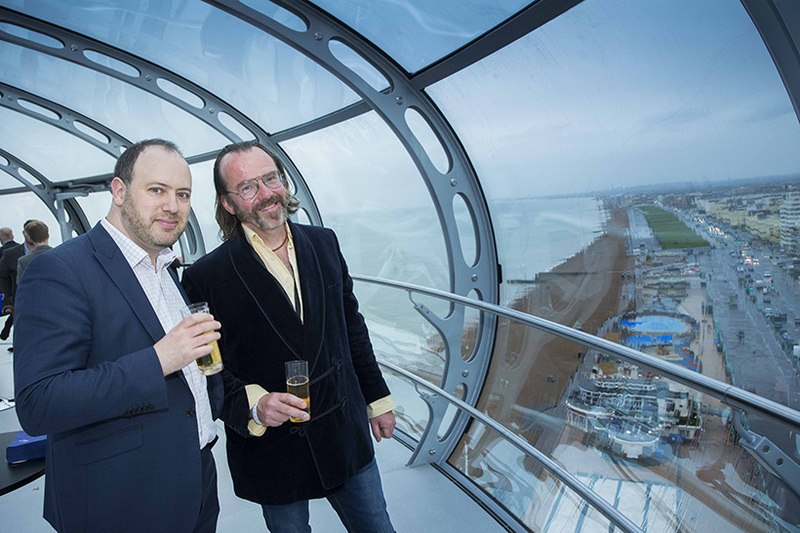 The social programme includes a drinks reception on the British Airways i360, hosted by Teads, followed by dinner with special guest and "Anarchist chef" George Egg, before the amazingly talented Showhawk Duo perform at the after-party. Campaign’s Claire Beale sits down with ITV’s chief executive Carolyn McCall DBE to discuss her amazing career, championing women in business and surviving 14 hour days. Buying skills and embracing culture: building the "agency of the future"
Accenture Interactive’s managing director talks brand experience and the seismic changes facing consultants and ad agencies. Jennie Price CBE, chief executive at Sport England shares the remarkable success of the campaign to not simply change consumer behaviour, but also tackle an ingrained fear of judgement. Marketers from Uber Eats, McDonalds, OMG and LoopMe explore how to work better together, as an industry, to deliver long-term value and combat short-termist thinking. Audience, strategy and market experts from Unilever, BBC, Ofcom and UKOM uncover ways to ensure audience data standards are fit-for-purpose in a complex multi-device world.